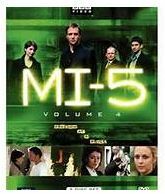 This past week my wife and I finished the last of 86 episodes of “MI-5,” a BBC series highlighting the exploits of Britain’s domestic intelligence agency. I won’t tell you how many episodes we watched per week – let’s just say we finished the series in less than a month. Much less. Because Netflix has, in some cases, all the seasons of a particular series, we can watch a show from beginning to end at our convenience. We don’t have to wait a week between episodes. We don’t have to wait four to six months hanging on the edge of an emotional cliff waiting to see how a crisis resolves. We don’t forget what happened last year, or small details easily forgotten over many months. No, our experience flows effortlessly from episode to episode, just as the writers, directors and actors intended. We get comfortable coming and going in these worlds and staying for has long as we wish. We bond with the characters and they become more real – and sometimes more likable – than friends and family. But then it ends. Suddenly. Last week our daily prescription of “MI-5” ran out. No refills remained. There was no getting around the fact that something was missing. Oh, occasionally we see “reincarnations” of our favorite characters in other worlds, as other characters in other series, but it’s not the same. Harry Pearce, Ruth, Zoe and Tom…are gone. It’s odd we miss them as much as we do. Odd because we actually have real lives and things to do, real people to talk with, meetings to attend, errands to run. It isn’t as though we are irretrievably wedged in La-Z-Boys, covered in cats and crumbs. The process of watching episodic TV via Netflix lends itself to creating a unique bond with characters we like and the fictional worlds in which they live. It isn’t like “the old days” when you saw a TV show once a week and sat through the commercials. It is common for people to watch a dozen episodes of a series they like in a few days. You become emotionally immersed in that world. It’s easy to assume that the reason I feel this way is because my own world is lacking. But I don’t think that’s true. I remember reading that “a man is what he thinks about.” If you focus strongly on something, emotionally connect with something several hours per day, for an extended period of time, I believe you develop a real bond. A bond that, when broken, creates a sense of loss. 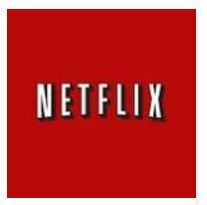 Perhaps we’re witnessing the birth of a new psychological disorder: NPPS (Netflix Post-Partum Syndrome). If so, the cure is less likely to require therapy or drugs, but merely the addition of a new multi-season series to our Instant Queue (or now My List tab).